In this lesson, we will learn how to estimate the measure of an angle by comparing it to another angle of a known measure. 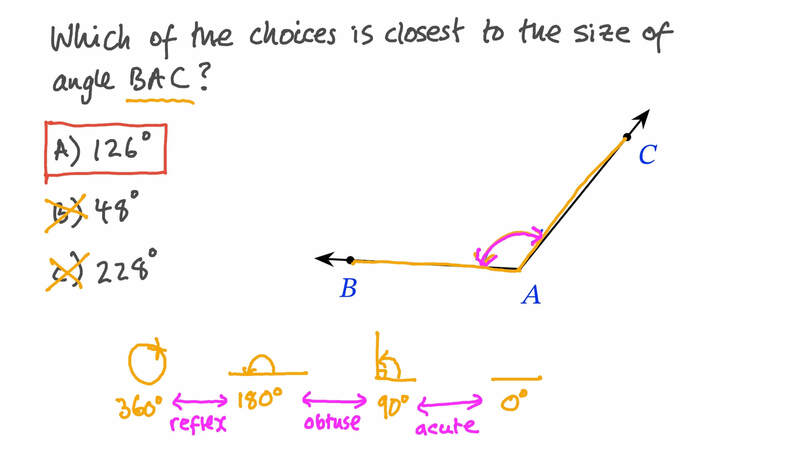 Which of the choices is closest to the measure of angle 𝐵 𝐴 𝐶 ? Choose the angle measure that best approximates . Pick the best estimate for the size of the angle. Estimate the size of this angle. Pick the best estimate for the measure of the angle.